Start a new adventure, become a PADI Divemaster on Gili Air in Indonesia. Would you like to become a PADI Divemaster while you join the Gili Shark Conservation Project? We have the ultimate package for you! Take your first step towards becoming a Dive Professional, working alongside experienced dive instructors and marine biologists from around the world. Diving in Indonesia is so beautiful, you won’t regret it! The goal of your internship is to become a PADI Divemaster, as well as a guide for research dives. 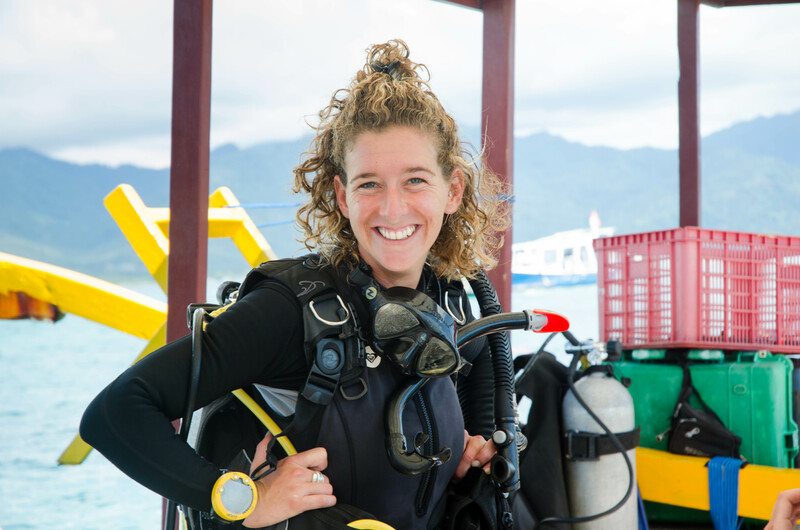 You will help the research team to execute the BRUV dives, Survey dives, Underwater Clean Up dives and Photo ID Dives and by the end of your internship you might even be guiding your own dives around the Gili Islands Lombok! You will have 2 mentors during your internship: your mentor from Oceans5 Dive Resort will train you to complete all the PADI qualifications of the PADI Divemaster Program and our Field Scientist will prepare you for guiding your own research dives. Oceans 5 Dive Resort mentors are available in a variety of languages, to tailor to your needs and to optimize your learning experience diving the Gili Islands. Your time will be split between project / scientific duties of the Gili Shark Conservation Project, confined sessions and training dives at Oceans5 Dive Resort. During you Divemaster internship you get unlimited diving: up to 4 dives a day! Our affiliated partner, Oceans5 Dive Resort, has the highest qualification that you can get as dive centre; they are a PADI Career Development Centre. On top of your Divemaster training they provide a knot workshop, teach you how to use lift bags, how to use a SMB, how to check the current and how to plan your dives. HOW LONG WILL IT TAKE TO BECOME A PADI DIVEMASTER? WHAT’S INCLUDED IN YOUR DIVEMASTER PACKAGE? 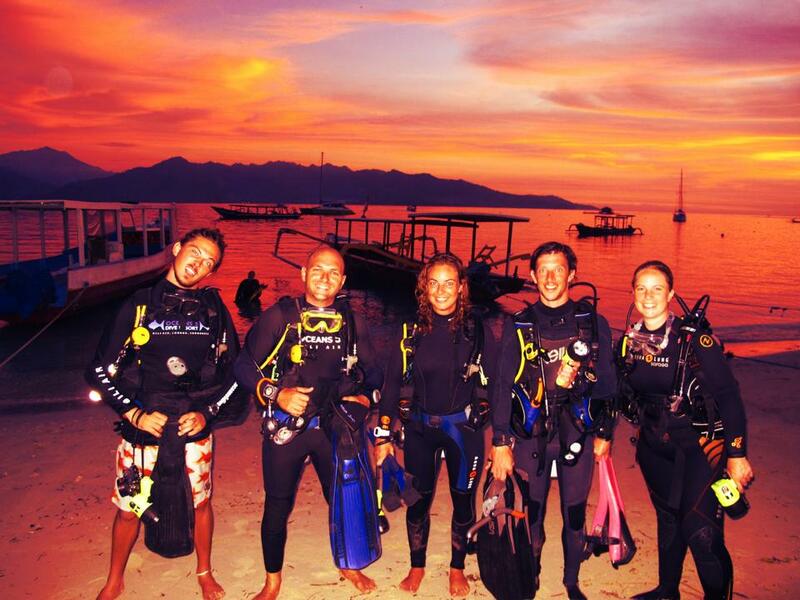 Would you like to receive more information about the content of our Divemaster Internship on the Gili Islands? Don’t hesitate to send us a message at sharks@gilisharkconservation.com. We are happy to help so you can start diving Indonesia!